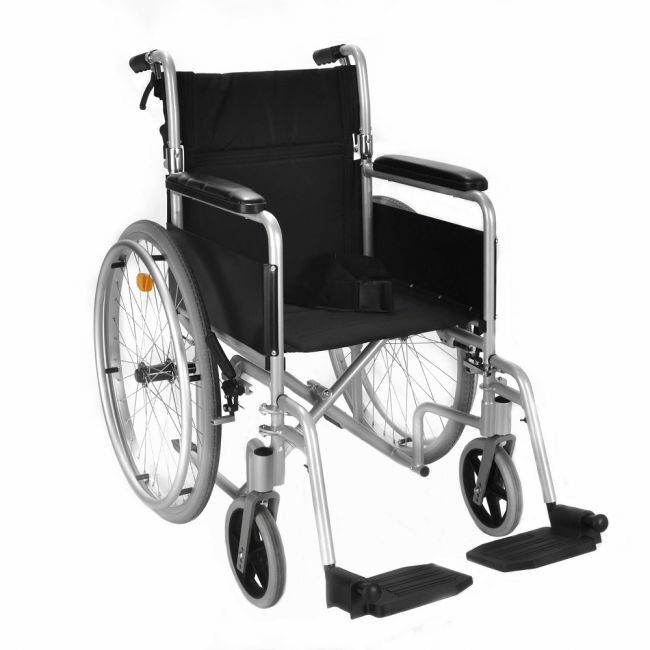 Our Mid Range Aluminium Self Propel wheelchair. As well as being lightweight and easy to fold up it has attendant handbrakes not found on most self propel wheelchairs in this price bracket and a lapbelt. Attendant slowing handbrakes linked to locking parking brakes.